Welcome To "Santa, Baby..." Day ELEVEN! So how does "Santa, Baby" work? 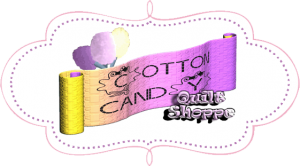 Each day we will have a new, EXQUISITE, GOTTA HAVE Sewing goodie under your Cotton Candy Christmas Tree. These are not Stocking Stuffers...nay, nay...these are super special treats for YOU, my quilty friend! Buy them for yourself, or send the email on to your spouse, mom, children, and let them be your Christmas Hero. After it's listed, you have 24 hours to purchase that day's "Santa, Baby" Gift at it's UNBELIEVABLE PRICE! These items are PRE-ORDER, so we'll take your order online, in store, or over the phone, then call you when they're in (or mail them out if you've ordered online). So, have you been a really good girl? All the best stocking stuffers, all in one place, and all at once! 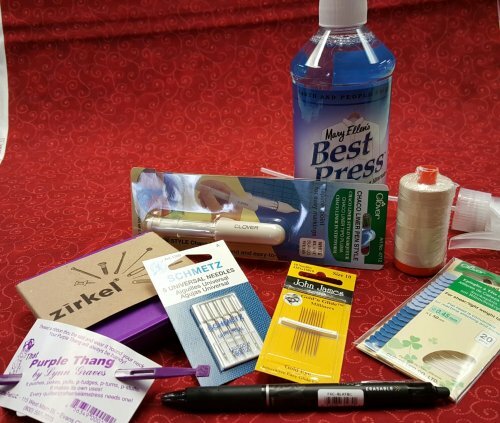 A 16oz bottle of Mary Ellen's "Best Press"
A package of Schmetz Sewing Machine Needles, Universal 80/12 size to keep your machine working its best. YOUR SANTA BABY PRICE: $54.99! You MUST order by midnight December 11th to get this price!